Everything marketing @ Ahrefs. Loves a good story and solving problems. Follow her on Twitter to see what she's up to! Want to write a great blog post that tons of people will read not just now, but for months and months to come? This is the guide for you. Writing a blog post sounds easy enough, right? Open any text editor, start typing, and there you have it. Except…as a writer myself, I know how that story can end. Deciding on a topic, organizing your thoughts, facing that dreaded blank page for days and pouring your heart and soul into your work…only to get a total readership of 20 views a year later. So how do you write something amazing? Something that people actually want to read, and that gets thousands of visits each month? Stay with me—I’m about to cover everything you need to know in this post, from the technical bits to the more subtle nuances of writing and editing. Let’s start off by defining “consistent readership”. Consistent readership means that your blog post generates both ongoing and stable—maybe even increasing—interest over time. What’s happening here is that you see a nice boost in traffic when the post is first published and promoted to your network…but this referral traffic fades away soon after. The big question is: how do you keep that traffic coming? Which means that where most sites are concerned, organic traffic is going to account for more traffic than all other sources combined. That’s all thanks to SEO! At Ahrefs, we have about 170 posts on our blog and get around 240k monthly visits from search engines. On average, that’s 1.4k/month for every single one of our blog posts. And you can achieve similar results too—it’s honestly not rocket science. Here’s a simple 9‐step process to writing blog posts with tons of traffic potential that’s based on the way we do things at Ahrefs. Have lots of topics in mind? Fantastic—note them all down. 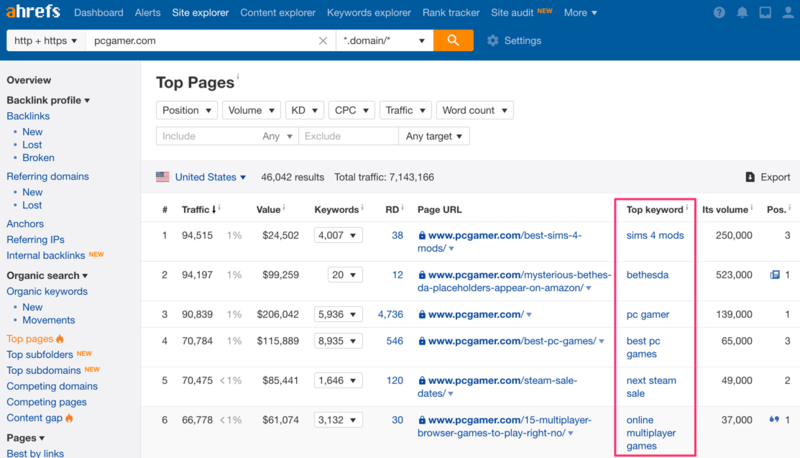 Pop any domain into Ahrefs’ Site Explorer and go to the Top Pages report. This shows you a list of the most popular content on that site when it comes to organic traffic. There’s your inspiration for topics—the keywords and phrases associated with these pages have already proven themselves to be popular, so they’re likely to be great topics to write about yourself. 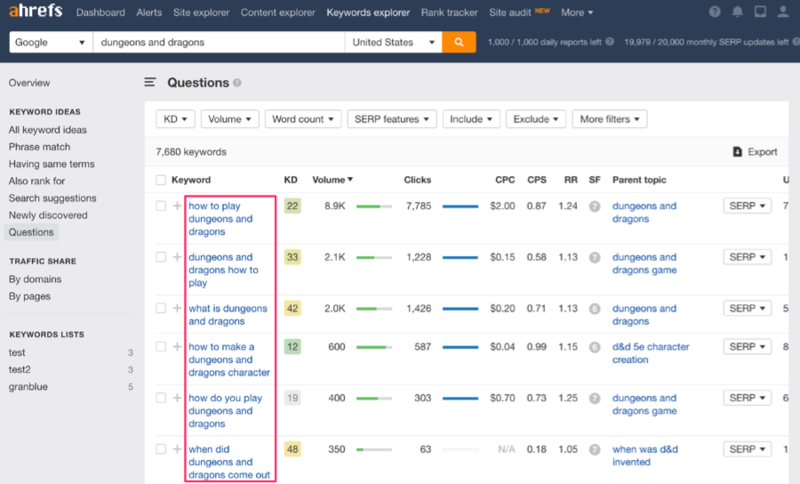 Both these reports will pull a big list of keyword ideas for you. Now, all you need to do is shop around a little and look for the topics that interest you. Make a list of topic ideas—5 to 10 should be enough to start with. Keep that list of ideas close, because we’re going to filter them so that only the contenders with the most potential remain. 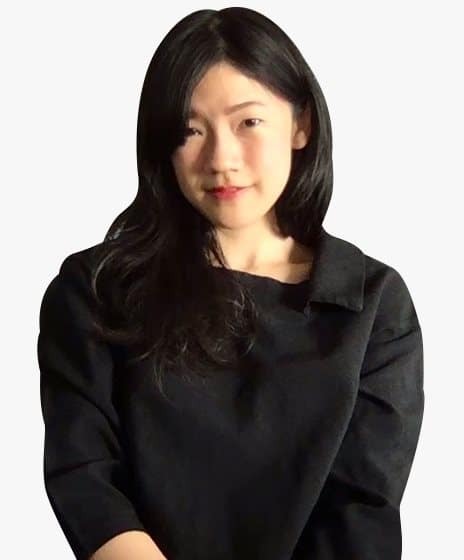 Recap: you want to write about things that people are searching for month after month in order to drive long‐term traffic to your website. One way to do this is by using a combination of guesswork and free tools like Google Trends which shows you the relative popularity of any search queries you enter. Let’s say you have three topics from the previous step: Overcooked, Overcooked 2 and Mario Kart. Enter all three terms in Google Trends and it’ll show you which topic is the most popular. One drawback, though: while it’s great for tracking trends, what Google Trends doesn’t do is show the search volume of search queries. 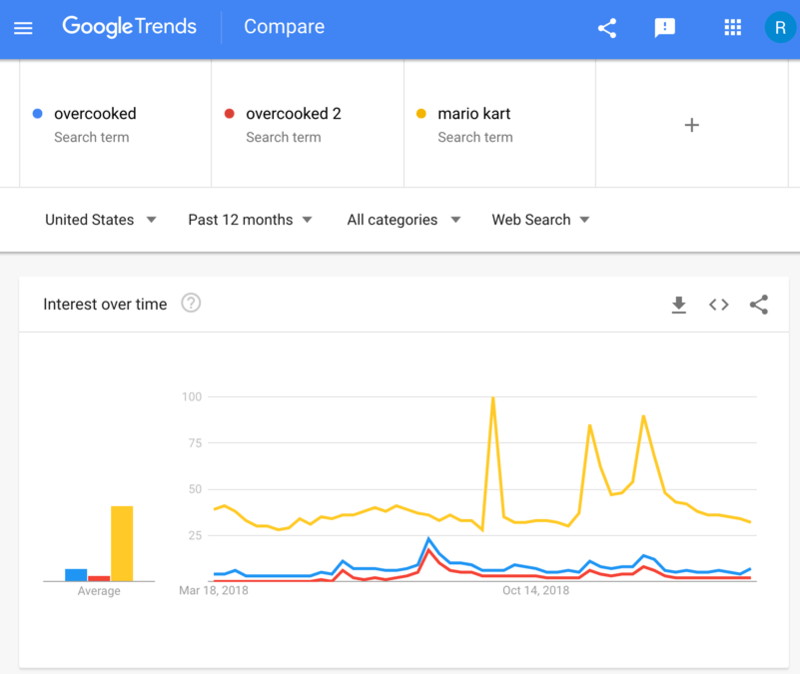 So while “Mario Kart” is clearly the winner here, it could, in reality, get four searches a month while the other terms get one. In which case, none of them would be considered to be popular at all. That’s where Ahrefs comes in. Paste your topic or keyword into Ahrefs’ Keywords Explorer and scroll down to look at the SERP overview. From here, just check the column that tells you how much estimated monthly organic traffic the top‐ranking pages have. This is important to do because some topics may not be worth your time and effort. 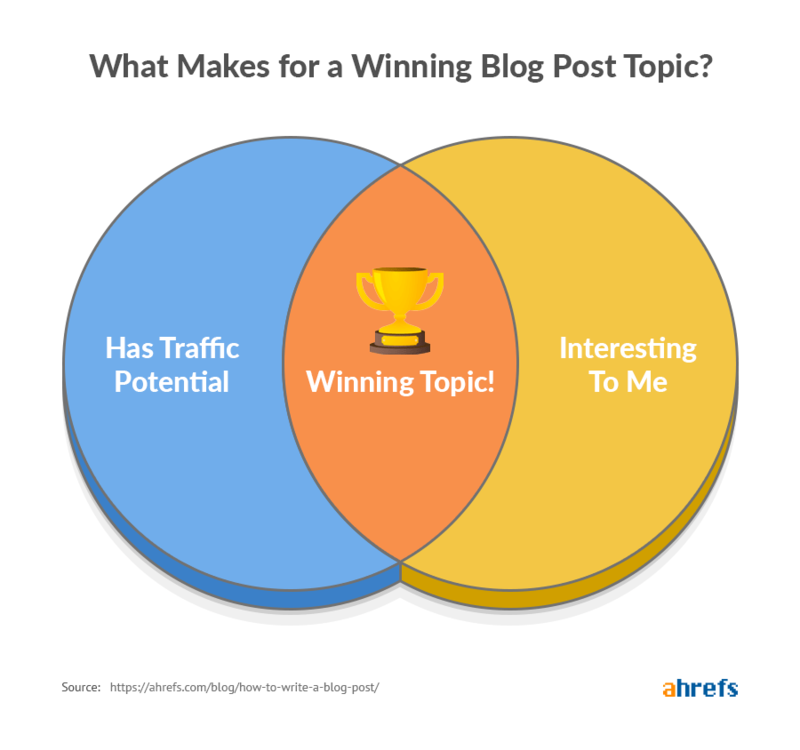 For reference’s sake, it can take us more than 20 hours to write a blog post at Ahrefs. If we’re only getting a handful of visits per month to that post, then it’s really not worth the effort involved. So: weed out the topics with low traffic potential to save yourself the hassle and eventual disappointment. 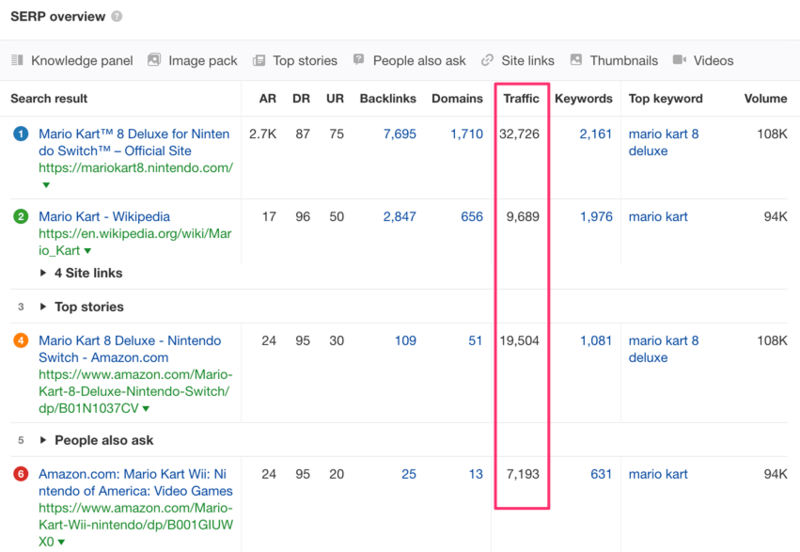 In this case, Mario Kart clearly has high traffic potential. If you’re blogging for a brand or business, make sure to check for business potential. This means only selecting ideas that are related to your niche and that might convert a reader into a customer somewhere down the line. For example, if you’re selling graphic design software, a blog post about “how to make an infographic” makes perfect sense. Conversely, a post about “how to change a car tire”, no matter how much traffic potential it has, is unlikely to bring about results for your business. Now that we’re left with a handful of ideal topics, it’s time to check for two crucial things that can hold your blog post back from ranking: competition & intent. Let’s start with competition. Head to Ahrefs’ Keywords Explorer and enter your topic. Check the Keyword Difficulty metric, which gives you an estimate of how hard it would be to rank in the top 10 Google search results. As a very general rule of thumb, a KD lower than 10 should be “rankable” for a beginner blogger. But there’s another thing you should check before you begin drafting: search intent. 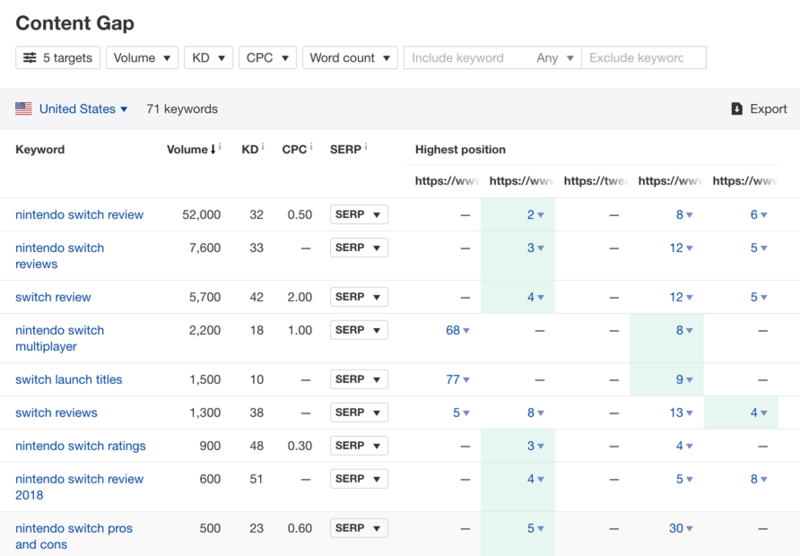 In simple terms, this means making sure that the keyword has “informational intent.” To check that, take a look at the SERP overview in Keywords Explorer, which shows you the current top‐ranking pages for the query. If we do this for Mario Kart, it’s clear right away that this is not an informational search. Aside from the two results from “wiki” pages (see highlights above), the rest of the results are product pages. This shows that the query has commercial search intent. In other words, people who search for “Mario Kart” are in buying mode, not learning mode. As such, it’s very difficult to rank blog posts for such topics, because Google’s job is to give searchers what they want. Not all is lost though. 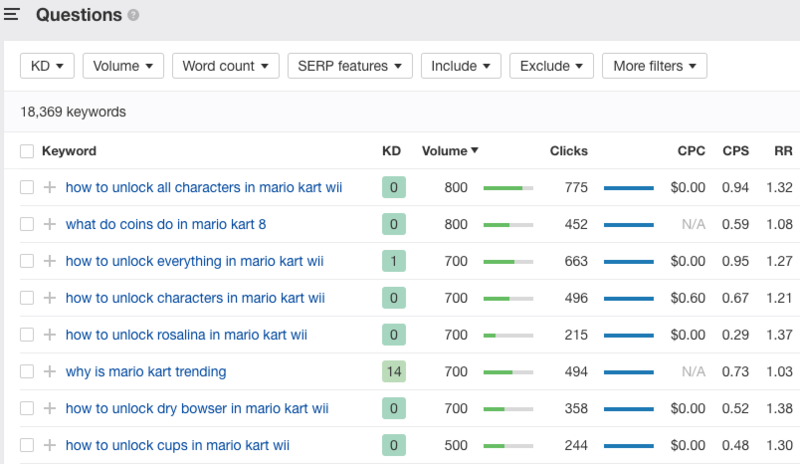 If we check the Questions report for the seed keyword “Mario Kart,” there are thousands of related informational keyword ideas for us to choose from. Make sure that you filter out topics that you’re unlikely to rank for. You should be left with a couple of promising topics. Now, all that’s left is to write the post! To kick things off, put your ideas down and arrange them into some form of structure. Things don’t have to be super concrete at this stage. Think of this outline as the “base” of your post. So: plan out the broad topics you want to cover and follow up by filling in the sub‐topics for each section. Give each section a name. Not sure what to write about? Use Ahrefs’ Content Gap tool to get some inspiration. For example, let’s say that we wanted to write a review of the Nintendo Switch. 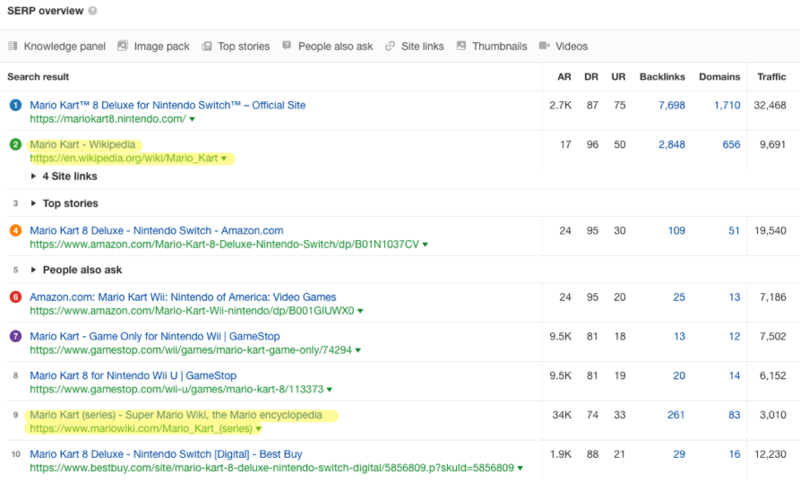 We could paste in a few of the top‐ranking pages for “nintendo switch review,” then hit “Show keywords” to see the other keywords for which those pages rank. Those are all subtopics that we might want to include in our post. Header: Nintendo Switch Review: It’s Amazing! Subheader: Why is the Nintendo Switch so amazing? This will help to create a visual hierarchy of importance, with headers being the most important (and only used once per post), sub‐headers being more important than sub‐sub‐headers and so on. At this point, it’s super simple to start optimizing your post for SEO. At Ahrefs, we work exclusively in Google Docs and recommend this for a few reasons—which will become clear as we go along. 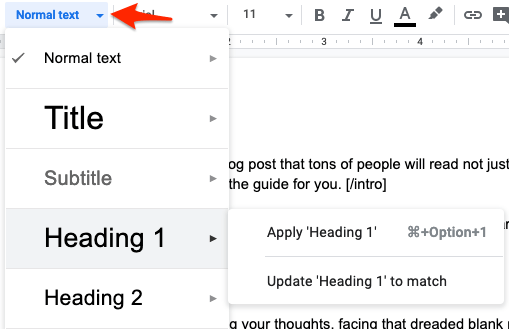 Here’s an immediate perk: go ahead and hit “Normal text” in the menu bar in GDocs, and a dropdown will appear with the options to select <heading 1>, <heading 2> and so on. If you go to View > Show document outline, your will see the outline of your draft on the left hand side. Clicking on each heading jumps you right to the corresponding section in the draft itself. Super handy, and great for organizing your post. You can also use digital tools like Workflowy to map out your ideas—it helps you to organize hundreds of notes in a format that is searchable, expandable and collapsible for easy structuring. Once your outline is in place, it’s time to flesh that skeleton out into a rough draft. Use your headers as a guide and write your first draft. This stage is all about “getting it out”, which means doing your best to avoid any form of interruptions to your writing. In other words, don’t self‐censor as you go along. 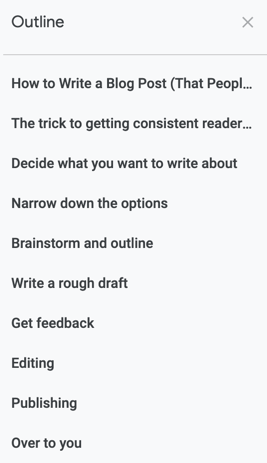 Don’t repeatedly re‐arrange your outline to make things flow better, and definitely don’t rewrite the same sentence ten times just because it “doesn’t read quite right”. I know, it’s far easier said than done—I just rewrote that paragraph above three times myself. Still, try to minimize interruptions and keep going. Think of it this way: it’s pretty much impossible to write a perfect first draft, so don’t beat yourself up over it. There’s lots of time to edit for perfection later on—this stage is about getting everything down on paper (or screen) so that you have something tangible to work with. Prone to getting distracted by things like tabs and messages? Try using a tool like Ommwriter to remove noise from your writing environment. Once your draft is written, look it over and fix all glaring mistakes. For example, if it’s suddenly absurdly clear that section B should come before section A, go ahead and re‐order those sections. Also be sure to fix issues like grammar and awkward sentence construction as you go along. A quick way to do this is to use a tool like Grammarly, which allows you to check your writing for mistakes. The goal is to get your draft polished enough to ask for feedback on it. Writing just not flowing and you’re stuck staring at a blank document for days on end? Here’s a fail‐proof trick that works for every writer I know: it’s called a deadline. Nothing quite like the fear of losing your job or letting someone down to get those writing juices flowing! All jokes aside, this works better than any fluffy trick I know of. Set hard deadlines for yourself—better yet, announce them to your editor, boss and everyone who’ll listen. Even if you miss the deadline in the end, chances are good that you won’t be too far off from completion. Time to make it even better. You do this by getting a second opinion on it—maybe even a third—and then incorporating constructive criticism and suggestions. If you have an editor to show your draft to, great; otherwise a friend or colleague works absolutely fine as well. What’s important here is to get an impartial pair of eyes on your work. Chances are that a third party will be able to point out things like logical loopholes and poor flow that you wouldn’t be able to spot on your own. They might even mention that too much industry jargon is making your post difficult to understand, for example. The Ahrefs blog is definitely guilty of this at times! Try to be clear about what you’d like feedback on. If you’re struggling with a particular section, highlight that. 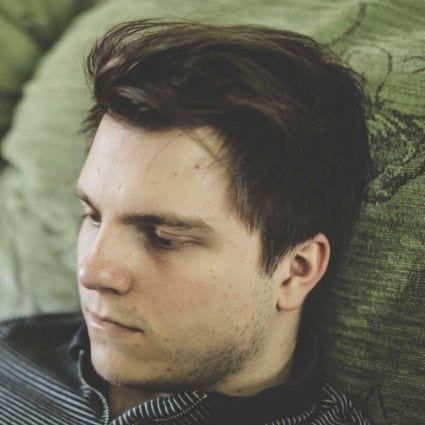 If you already know that there are grammatical errors littered throughout the post but haven’t gotten round to cleaning them up yet, make it clear that you’re aware of the issue and don’t need it pointed out again. You get my gist. If you’re using Google Docs, there’s a handy comment feature (command + option + M) that allows you to leave feedback and hold discussions on specific parts of your draft. This keeps things organized, because you can simply hit “resolve” once you’re done with a specific piece of feedback later on. Once you have your feedback, it’s time to make edits. When working with others, the goal is to build off their ideas and opinions to produce the best piece of work possible. If someone is giving you “advice” that only tears your work down without offering any alternatives, that’s not constructive criticism. Take the time to think about each point that was made. Set aside your ego and really try to see things from a third party’s perspective: which points do you agree with, which are you unsure about and which do you definitely not agree with? Note all of this down. Then start working on your next draft while incorporating the feedback you got. Make edits based on the suggestions you believe in and leave out the things you feel strongly against (but be sure to have a logical explanation for doing this). If you’re on the fence, it all comes down to how much you trust the person giving you feedback. Also be careful not to accidentally adopt the writing style of a third party, especially if they give feedback in long form or if you’re incorporating many of their suggestions. What helps is to take a break from your draft and work on something else—when you come back to it, try and rewrite the section in your own voice and style. Now is the time to rewrite sentences until they “sound right”, or rearrange your points over and over again until they flow the best they can. Keep getting feedback and revising your draft until you’re happy with the final product. Don’t let others’ opinions overpower your own. While it’s crucial to get different points of view and new ideas in order to strengthen your work, it’s still your work—not theirs. It’s a fine balancing act, but it’s up to you to fight for what you believe in while also graciously accepting that there is always room for improvement. This can be difficult to do, especially if the person giving you feedback is someone you report to at work. In these cases, I like to employ the rule “lose the battle, win the war”: pick and choose your fights carefully. Let smaller things go, but if something is of core importance, make it known. Formatting is all about making your post as easy as possible to digest—there’s a reason why memes and GIFs do better on the Internet than epic walls of texts. Thankfully, there are ways to “cheat” this without resorting to rewriting entire chunks of your post. Simplifying “big words”. Write how you would speak to a friend—so instead of saying “feasibility,” say “chance.” Tools like Hemingway help to analyze your copy and check if it can be easily understood. If you’re writing for a business, do a final read through and make sure that your post never feels like a hard sales pitch. Feel free to promote your brand where relevant, but do your best to provide alternatives and never shoehorn mentions or, even worse, promotional offers. Now, we’re almost all set. At this point, your post should be rock‐solid and ready for upload to your content management system. I’m recommending using WordPress (like 75,000,000 other websites out there) because it’s extremely customizable, easy to update and integrates well with many third‐party plugins and programs. Case in point: if you’re using Google Docs, you can export your blog post to WordPress with a single click using Wordable. This will automatically export all formatting like header tags, bolded text and so on. Give your blog post a final polish by spicing up your title and description. Since we want searchers to actually click into your blog post once it ranks in search results, your post title needs to be as click‐worthy as possible. For example, if your original title was “The Best Areas in Zelda: BotW”, why not add a bit of flair to it? Chances are good that more people will want to click on that second result, because it’s descriptive and contains the keywords they have in mind. Once this is done, hit publish and voila! You now have a blog post that screams “CLICK ME” in the search results. As much as we’d all love to write about whatever we feel like, the hard truth is that we need to have a keyword‐focused approach to blogging in order for our writing to reach a wide, consistent audience. It’s worked spectacularly for our own blog (we’re nearing 300k organic visits a month using this strategy), and it’s worked for other brands like Wirecutter and Beardbrand. Hopefully, this post showed you that it’s not a difficult process, and that anyone can do it as long as they know what to look out for and have the right tools. Now go on and get started—that blog post isn’t going to write itself. Don’t forget to let me know in the comments when you get famous!